In the ancient Middle East a pious, wealthy young widow risks her life to save her town from a besieging army. Based on the apocryphal Book of Judith. and its message of fidelity to God arouse both admiration and inspiration. "The ancient story of Judith of Bethulia is given a powerful heartbeat in this imagining by Leslie Moïse....Moïse's writing is immediate and empathetic, her characters vividly drawn. 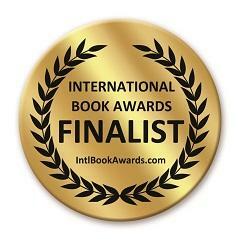 Judith is an engrossing read that you will not want to put down." that surmounts the centuries and speaks to readers today." to make her or his own discoveries." in filling the blanks of possibilities regarding the unwritten details of turbulent lands, relationships and societal structures, especially in terms of a woman's status. the human element of history is what defines this well-written story. to the pages, just as these qualities held her people together in a time of need." Leslie Moise skillfully births the story of one of Biblical history's greatest enigmas. "Judith of Bethulia is but a mention in the Apocrypha chapter bearing her name. she is now chosen to receive and carry the word of God. a heroine whose powerful message has been silenced way too long. 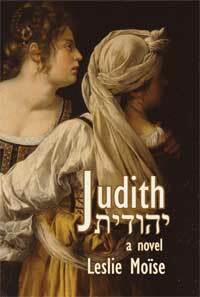 Judith is a must read."